Did you know that the condition of your mouth can affect the rest of your body? As time passes, an increasing number of studies are showing that issues like tooth decay and gum disease can lead to higher risk of severe health problems. Cardiovascular disease, stroke, diabetes, and even Alzheimer’s have been linked to gum disease, which can be prevented by routine visits to the dentist and good oral health care. Additionally, studies have shown that patients with healthier teeth and gums tend to live longer lives by an average of 6 years. Unfortunately, your at-home oral healthcare routine is not enough to prevent dental issues from occurring. When plaque builds up, it turns into tartar, which can only be removed by a professional. Tartar is a leading cause of tooth decay and gum disease. That’s why routine cleanings from your dental hygienist are imperative to the health of your mouth. This is also a great time to ask questions about your oral health and how you can take better care of your mouth at home. Additionally, these visits give your dentist the opportunity to check your mouth, head, neck, and jaw for any problems. Issues like oral cancer often can’t be seen by the naked eye, which is why seeing a professional routinely is potentially life-saving. Your dentist will also use X-Rays to get an inside look at your pearly whites to detect any cavities or problems that are hidden. Not only does your health benefit from these routine visits, but you can actually save money, too. Checkups and cleanings are often covered by insurance, making these appointments affordable. But, most importantly, seeing your dentist will prevent more serious issues from happening down the road. For example, bleeding gums when you brush can turn into advanced periodontitis (gum disease), which requires serious treatment to keep your gums healthy. Now that you know why seeing your dentist regularly is so important, are you ready to make a resolution for the new year? 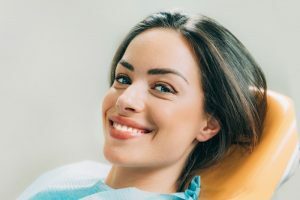 Book at least 2 dental appointments in 2019 to keep your mouth and body as healthy as possible. Dr. Megan A. Shelton takes pride in providing the best dental care for her patients in Carlsbad. She believes in preventive dentistry, which is why she wants you to schedule your routine checkups and cleanings for the new year. She currently practices at Polished General Dentistry, and she can be contacted through her website or by phone at (760) 434-9800 for any questions.